Born in Colfax, Iowa, the son of a farmer and grocer. Graduated from Grinnell College in 1910. Worked for the Massachusetts Society for the Prevention of Cruelty to Children in Boston while studying for a master’s degree at Harvard. While on vacation in England at the outbreak of World War I, enlisted in the 9th Royal Fusiliers by claiming to be Canadian. Landed in France in May 1915 and served as machine gunner at the Battle of Loos. Discharged in December 1915 on discovery of his nationality. Returned to Boston. Published Kitchener’s Mob: The Adventures of an American in the British Army (1916). Sent to France by The Atlantic to cover the formation of an American squadron in the French Air Service. Volunteered for aviation training in October 1916. Joined the Escadrille Lafayette (Escadrille N. 124) in June 1917 and was shot down and wounded later in the month. 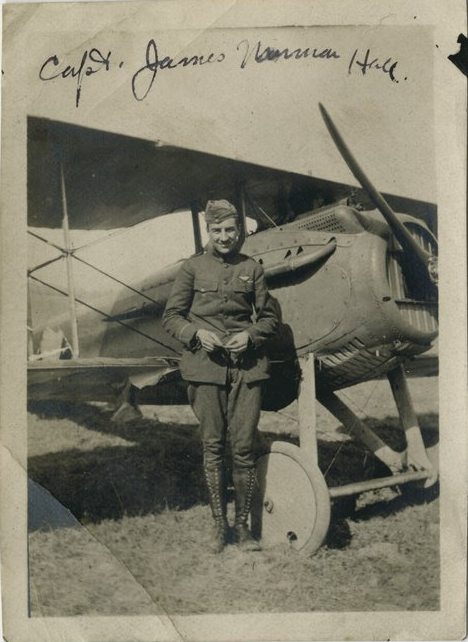 Returned to the Lafayette Escadrille in October 1917. Commissioned as captain in the U.S. Army aviation service in February 1918. Served with the 103rd Aero Squadron and 94th Aero Squadron. Published High Adventure: A Narrative of Air Fighting in France (1918). Shot down and captured near Pagny-sur-Moselle in Lorraine on May 7, 1918, and was a prisoner until the Armistice. 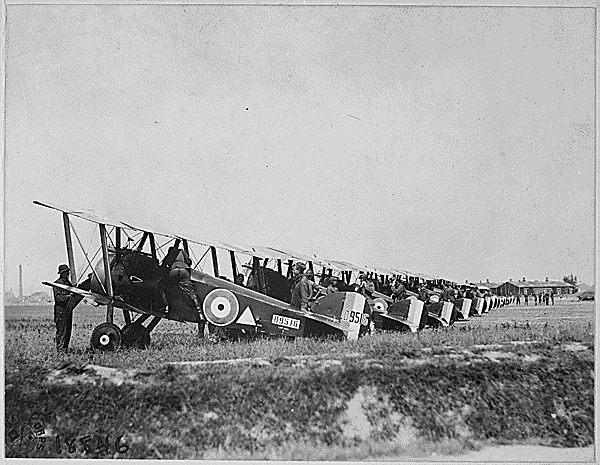 Collaborated with Charles Nordhoff on The Lafayette Flying Corps (1920), history of American pilots in French service. Traveled to Tahiti with Nordhoff in 1920 and settled there for the remainder of his life. Married Sarah Winchester in 1925. Collaborated with Nordhoff on series of novels, including Falcons of France (1929), the trilogy Mutiny on the Bounty (1932), Men Against the Sea (1934), and Pitcairn’s Island (1934), The Hurricane (1936), Botany Bay (1941), and Men Without a Country (1942). Published numerous books written by himself, including On the Stream of Travel (1926), Mid-Pacific (1928), Doctor Dogbody’s Leg (1940), Lost Island (1944), The Far Lands (1950), and My Island Home (1952). Died in Arue, Tahiti.